The data on the dashboard represents your overall volume and activity during the last twelve months. It also includes links to recently sent and scheduled campaigns. You will be able to see things like the percentage of emails opened, the volume of emails sent by month, when the last time you sent a campaign was, your account limit and overall performance over time. By clicking on the calendar icon on the top right corner, you will be able to download the data. You can manually click on what dates you wish to review, or set a pre-defined range by clicking on the drop-down menu. 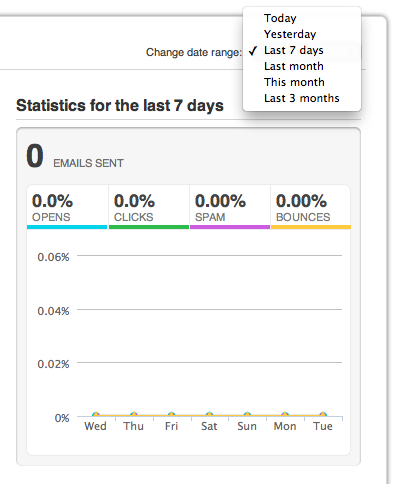 The performance over time includes auto-responders, welcome emails/goodbye emails, and system emails. 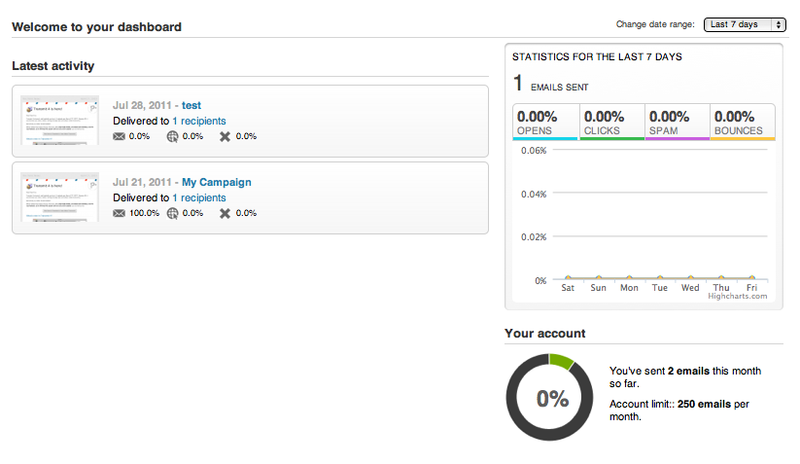 Note: The Dashboard shows the number of unique clicks across all links in a mailing. The percentage displayed is the unique number of subscribers who clicked on at least one link. In the click detailed view of a campaign, the unique number of subscribers who clicked on each specific link is displayed.